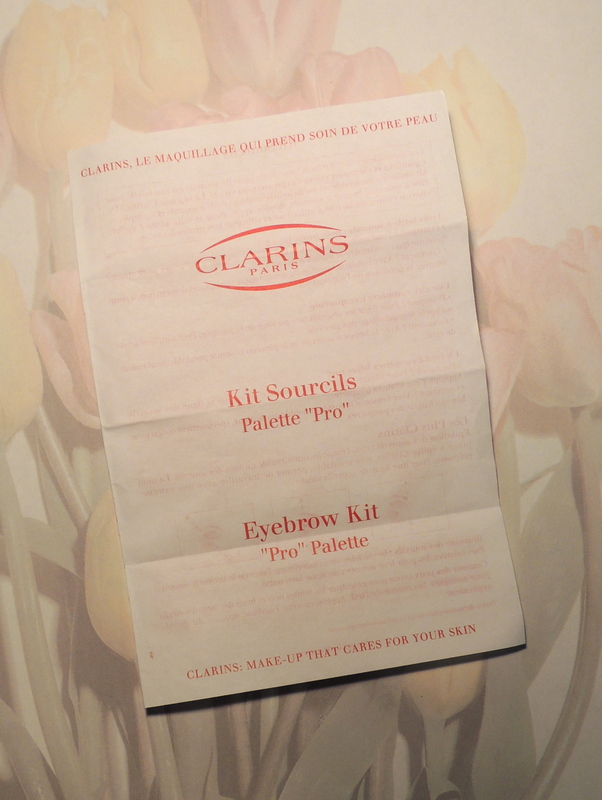 CLARINS Pro Palette Eyebrow Kit - Give Me Gorgeous! I have a couple eyebrow pencils, however was on the mission to find a more versatile product for my fair brows when I found this kit. The slim, gold metallic case for this product is very sleek. 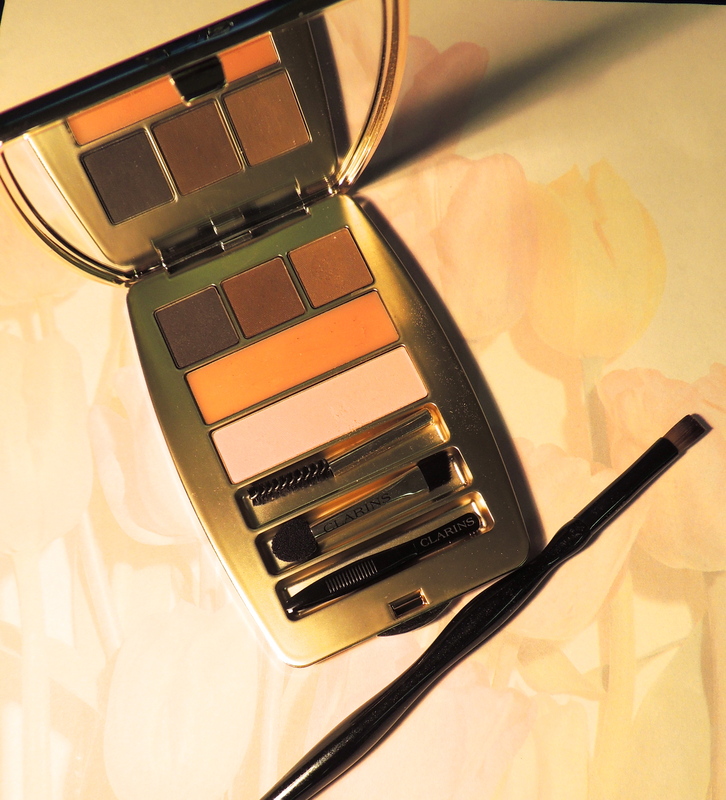 A full-mirrored lid opens to reveal three shades of eyebrow powders (a dark, medium and light), one wax (middle) that is clear and a highlighting eyeshadow as well as three application and brow care tools. This kit has proven very handy! How nice to have the brow wax, color and highlighter packaged all together in one slender case. The tools are fairly small, and not as easy to use as my regular sized brushes and tweezers, however will work in a pinch. 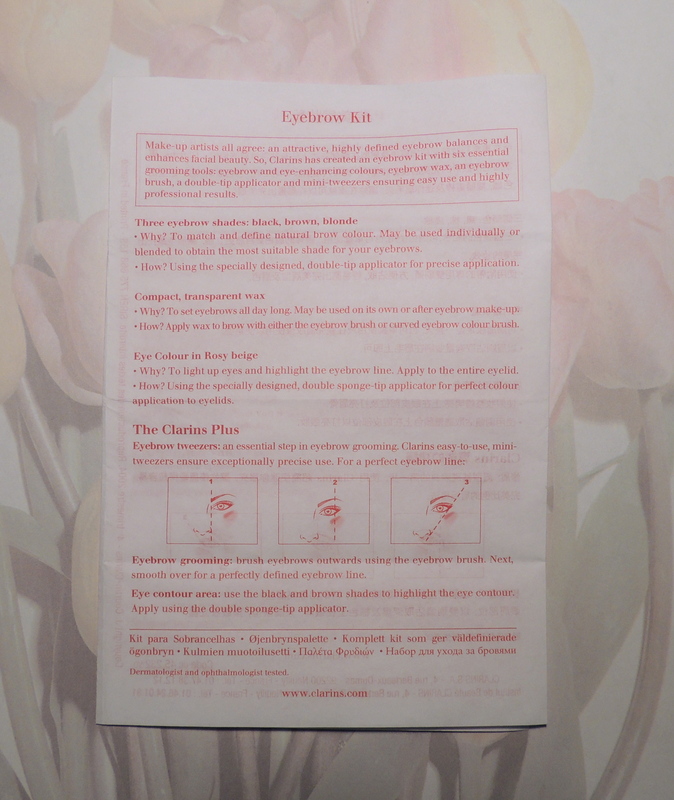 Clarins recommends applying the powders (which can be mixed to create an accurate match for your brows) with the sponge applicator and following up with the wax to set it with the tiny brush applicator. I usually use a medium length short bristled eye brush (pictured) to apply the powder and wax at the same time – mixing the correct color of powder then coating the brush bristles with the wax before applying. The wax does keep the powder from straying all day. It all removes easily at the end of the day with soap and water or eye makeup remover. Kelly, Hi. Yes – manicured brows really put the polish on your look and never go out of style! Thanks for visiting.